How did Virgil Joseph ʼ01 go from aspirations to become a doctor to a job with Canandaigua National Bank & Trust (CNB) and a place among Rochester Business Journal’s “Forty Under 40” for 2015? We talked with him to find out. During our upcoming Meliora Weekend, in addition to the traditional reunion, homecoming, and family fun, we will celebrate the historic success of The Meliora Challenge, our most ambitious, comprehensive fundraising campaign ever. George Eastman Circle members are among the more than 200,000 donors who helped the Campaign exceed expectations and raise $1.37 billion in support for the faculty, students, programs, facilities, infrastructure, research, and the Annual Fund. I sincerely thank all of you for helping to make this possible. If you are planning to attend Meliora Weekend, we hope you can join us for a Campaign Celebration BBQ on Friday, October 7. Although the Campaign has concluded, our collective, continued leadership and support is more important than ever. It can’t be stressed enough; together, we are making an extraordinary difference in many lives at the University, within the Rochester community, and around the world. Stop in and kick off a celebratory weekend with some hearty refreshments and the opportunity to connect with fellow George Eastman Circle members from across the country in a fun, relaxed atmosphere. Enjoy a nice meal, mingle with fellow George Eastman members and scholarship recipients, and hear a special University update from Robert Clark, provost and senior vice president for research. At the conclusion of Provost Clark’s remarks, you will be given early access to seating for the keynote address. Visit this exclusive members-only space to enjoy food, drink, a comfortable place to rest, and entertainment from student musicians. Family and friends are welcome to join. Plus, don’t forget to pick up your special thank you gift. 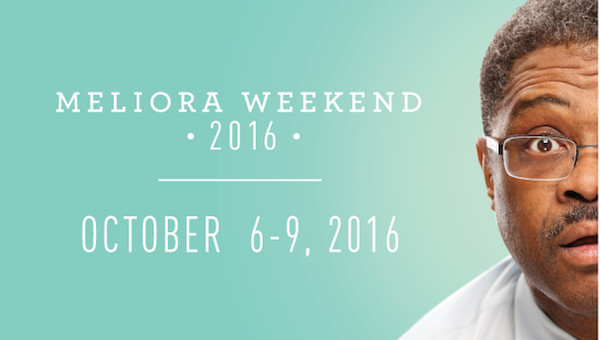 Have you registered for all of your Meliora Weekend fun? If not, visit the Meliora Weekend website to ensure you don’t miss the weekend’s keynote address from MSNBC’s Morning Joe hosts Joe Scarborough and Mika Brzezinski, a discussion on race in America with documentary filmmaker Ken Burns, or multi-platinum singer/songwriter Ben Folds performing in an outdoor concert. Register online by September 30 at noon (EDT)! When did you realize you weren’t going to have MD after your name? Virgil Joseph: It wasn’t until my junior year. That’s when I started looking for something to fall back on. Since I’d always done well in math, I thought, “Why not make it a major?” At the time, I wasn’t sure what I was going to do with [my math degree] when I graduated, but it was a good place to start. Seems like it worked out pretty well. Where did that math degree take you first? VJ: Back to my home in New York City. I thought it would be easy to find something in the finance industry. This was in August 2001, and two months later, the tragedy on 9/11 happened. After that, no one in the industry was hiring. That’s when I moved back to Rochester and found a job at [Strong Memorial Hospital], as an administrative assistant in the emergency department. For a second, I started to fall in love with medicine again. Maybe give it another try. But then I got a call out of the blue from the National Bank of Geneva—as it was called at the time—looking to interview me for a position in their commercial underwriting department. That’s how I got started in banking. Why do you think the bank came to you? VJ: I had an Accounting/Finance Management Certificate from [Simon Business School]. We look at and interpret a lot of financial statements from different companies. Having that knowledge of accounting and an analytical background gave me a little bit of a leg up. And now you’re a commercial loan officer. VJ: That’s right. I try to represent the bank in a positive way and sell it in an effort to gain new business—small business loans from small- to medium-sized companies. I’ve been doing it for six years, and I love it. It probably seems out of character to anyone who knew me in college. I was an introvert, who didn’t go out much or talk to people I didn’t know. But this job requires me to be outgoing and strike up conversations because you never know where they might lead. It helps that I’m passionate about the bank. I think that authenticity comes through when I talk to prospects, which has helped me to be successful. Speaking of passion, has that played a role in your giving at the University? VJ: Absolutely. It started with a conversation about my plans to give back. I thought about it and realized it had been about 14 years since I graduated, and I really felt I owed the University for a lot of my career. My wife, who also went to Rochester, and I discussed that maybe this was the right time. But we had just had our fourth child, and couldn’t just write a check. Being able to do it over a five-year period [through the George Eastman Circle] was very appealing to us. Did you designate your gift to support Arts, Sciences & Engineering because of your degree? VJ: Yes, and I like to think part of the financial package I received when I started was due in part to someone else’s generosity. Now I can be that person, helping a student coming up, who maybe doesn’t have all the resources they need to [attend Rochester]. You have to feel strongly about where you give. It makes me proud to know the University is doing well, locally and nationally, and know that I’m contributing to its success. 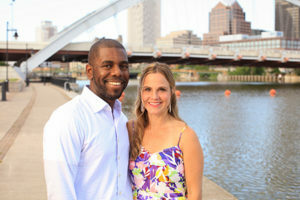 Virgil and his wife, Lisa Joseph ʼ02, have been members since November 2015. Virgil is a member of the Arts, Sciences & Engineering’s 15th Reunion Committee and the George Eastman Circle Rochester Leadership Council. The Josephs live in Rochester with their children Justin (15), Virgil (9), Sofia (5), and Hannah (20 months). 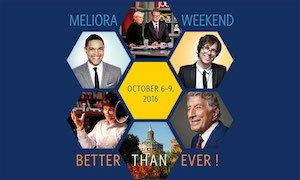 Look for the Josephs at the upcoming Meliora Weekend! Over the last decade, George Eastman Circle members have supported the University with their hearts, minds, and aspirations for the future of our world. Your commitments have had an impact on our faculty and students, facilities and infrastructure, and programs and research in every corner of the University. Below are just a few examples of where and how you have helped make a difference. There are talented aspiring nurses whose financial circumstances are large, if not insurmountable, barriers to their goals. You helped 150 of these students. 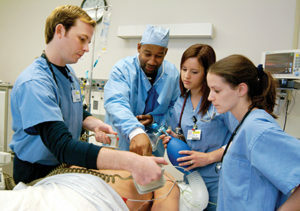 Annual gifts enabled us to award $1.8 million in scholarships that put an exceptional nursing education within reach. In 2015, 70 percent of Simon’s top candidates enrolled in the full-time MBA program. It couldn’t have happened without you. Your commitments have contributed to this happening in three consecutive years. You might know about how your gifts support Meals on Wheels deliveries, but do you know about the Care Transitions Coaching Program? Thanks to you, the program, which serves high-risk patients with complex care needs during and after hospital discharge, ranked in the top-nine nationally. Being part of the George Eastman Circle LinkedIn group provides networking and volunteer opportunities. For example, you could serve on a George Eastman Circle Council if you live in Boston, Chicago, Metro NYC, Philadelphia, Rochester, San Francisco, or Washington, D.C. You can learn more about these volunteer opportunities by joining the George Eastman Circle LinkedIn group. To join this exclusive members-only group, you first need to have a LinkedIn account. Once you have created an account, or if you already have one, visit the George Eastman Circle LinkedIn page, and click “Join” in the upper right hand corner of the screen. Leadership in orthopaedics. On August 9, C. McCollister (Mac) Evarts ʼ57M (MD), ʼ64M (Res), was recognized for the leadership and generosity he displayed in creating the Dr. C. McCollister Evarts Professorship in Orthopaedics. Evarts was recognized alongside the inaugural Evarts Professor John T. Gorczyca, MD. Chief of the division of orthopaedic trauma and director of the orthopaedic residency training program, Gorczyca guides residents through a rigorous training curriculum that encompasses 12 orthopaedic subspecialties and provides extensive clinical and research experience. In 2016, he was named to the list of “America’s Top Surgeons” by the Consumers’ Research Council of America. Championing cancer research. On September 12, Aram F. Hezel, MD, became the inaugural John and Ethel Heselden Professor. Chief of the division of hematology/oncology for the Medical Center, Hezel provides care to patients with gastrointestinal cancers, including those of the pancreas and liver, areas in which he also focuses his research. His work aims to better understand why genetic changes lead to cancer and how we can use those changes to design better treatments. Champions for the Medical Center, the late John Heselden and his wife, Ethel, generously supported the School of Medicine and Dentistry, its facilities, and programs. The John and Ethel Heselden Professorship was established through a gift the Heseldens made in honor of their late daughter, Carol. It was the late couple’s desire to fund research, clinical program development, and education within the Medical Center, specifically the Department of Hematology. A pricing catalyst. Pricing has been an area of interest for University Trustee Robert J. Keegan ʼ72S (MBA) since his days at Simon Business School, a focus that served him well when he was CEO and chairman of Goodyear Tire and Rubber Company. 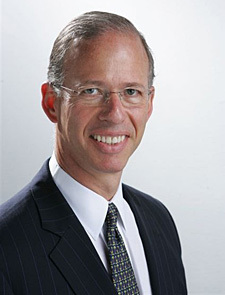 That experience and his gratitude for the education he received at the Simon School led him to establish the Robert J. Keegan Endowed Professorship in Pricing. 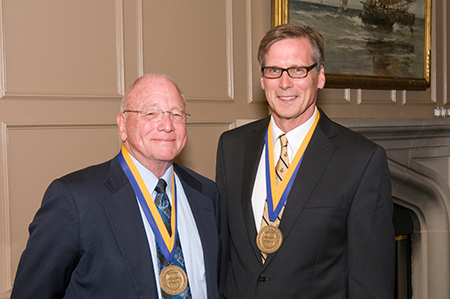 The Keegan Professorship was the 100th to be created during The Meliora Challenge. Read more about Robert Keegan and the gift that he hopes will serve as a pricing catalyst. Two doctors, two passions. Students at the School of Medicine and Dentistry and the residents and patients of Eastman Institute for Oral Health (EIOH) have Dennis A. Clements III ʼ72M (MD) and Martha A. Keels, DDS, PhD, to thank for some exciting learning opportunities and facility upgrades. The couple’s gift created the Dr. Dennis A. Clements III and Dr. Martha Ann Keels Student Support Fund, which will enable medical students to participate in educational, research and clinical activities in countries with health disparities. It also will establish the Dr. Dennis A. Clements III and Dr. Martha Ann Keels EIOH Pediatric Dentistry Clinic, allowing renovations and technology updates to EIOH’s training and care environment. Read more about how Dennis Clements and Martha Keels are helping to support children’s health. One of the ways we’re able to thank you is to extend invitations to various regional gatherings, dinners, and University programs. For more information or to register for any of the following events, please visit the Rochester Alumni Exchange or contact the Office of Donor Relations at (800) 281-2055. For more information and to register, visit www.rochester.edu/melioraweekend. Online registration closes September 30. A hospitality suite will be available to George Eastman Circle members and their families until 6 p.m. on Saturday, October 8. If you have any questions, contact Teresa Rodgers at (800) 281-2055. Join us for an evening where we celebrate and thank our members, featuring a University update from President Seligman and current students. To RSVP for this event, please contact DonorRelations@rochester.edu or (585) 281-2055. Celebrate the success of The Meliora Challenge in a city near you. Additional details will be available soon. More details on our annual celebration are coming soon.